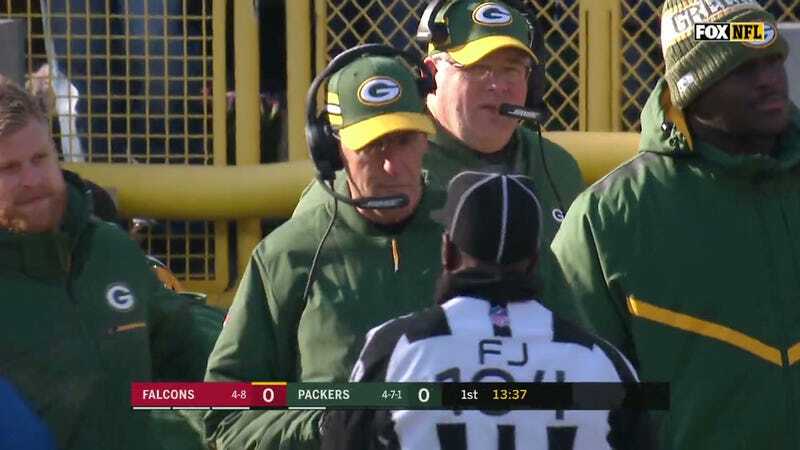 Joe Philbin clearly wanted to make a statement in his first game as the Packers’ interim head coach by going aggressive against the Falcons. Unfortunately, that aggression came in the form of indiscriminately throwing his red challenge flag whenever he saw fit. On Atlanta’s second play of the game, Matt Ryan completed a 28-yard pass to Julio Jones. Because the ball came loose after Jones hit the ground, Philbin decided to challenge the play. The call was ultimately upheld. Two plays later, Ryan completed another pass to Jones, but the 19-yard catch was made on the sideline. Philbin seemed to believe that the receiver didn’t get both feet in bounds, and he challenged that play as well. Once again, the call was upheld and both of Green Bay’s challenges were gone in 83 seconds. 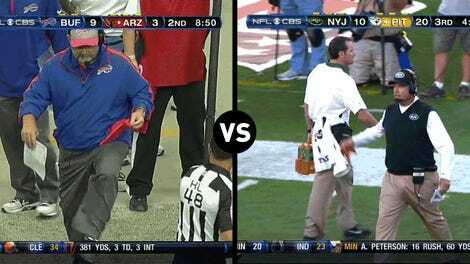 The only thing that redeems Philbin here is that he at least threw his flag to challenge plays he was actually allowed to challenge (looking at you, Gruden).